Kanye West always has a lot going on, but that doesn’t mean he finishes everything. Kanye West is nothing if not busy. His label G.O.O.D. Music has shared four albums this year, all produced by West, including a solo album and his collaboration with Kid Cudi called Kids See Ghosts. But when he announced the projects in April, you would have been forgiven to have been skeptical, since Kanye has a reputation for loosely throwing out announcements and not living up to them. Just recently, Kanye claimed he wants to release 52 albums in 52 weeks. If anyone can pull that off, it's him, but a few undelivered or failed projects are keeping me from marking every Friday on my calendar. Check out seven standout examples below. Kanye's attempt at creating a hip-hop-ified version of Curb Your Enthusiasm for HBO first emerged in 2013, around the time Yeezus dropped. The very idea is cringe-y, and speaking from experience, greatly hindered arguments about Kanye West's genius was clips of the show began to emerge. Reporters who have seen the full episode are divided – it's been called "incredible," "terrible," and "not as bad as you hoped" by those who watched the 30 minute pilot when it was screened in 2013 by Wyatt Cenac, an actor and comedian who worked with Kanye on the show. So really, who knows what it would have looked like had HBO picked it up to series? Even if it was a failure, Cenac spoke with admiration about his experience and Kanye's willingness to learn: "One of the things that I remember very vividly him saying when we did that pilot was he wanted to surround himself with people that were better than him, as far as comedy. It spoke to his whole life: If he surrounds himself with people who are better, he has no option but to either fail or rise. And that is not a decision that a lot of people would take." When Kanye puts his mother's influence front and center in his songs, he's at his most unguarded. Kanye's 2014 single "Only One," a tender ode to his daughter North written from the perspective of his deceased mother Donda, was a critical and commercial success, but it didn't end with the music: soon after the song's release Kanye began developing a video game based on the track. In Only One the game, players were to take on the role of Donda West ascending to the gates of heaven. The game was in production for over a year, and a trailer debuted at E3 2016. South Park creators Matt Stone and Trey Parker, who were also at the 2016 gaming convention, mocked the concept of Only One and poked fun at it in a 2017 trailer for their own game South Park: The Fractured But Whole. Perhaps their reaction soured the game for Kanye, who is sensitive to South Park's criticisms. His tour behind the initially divisive and ultimately legendary album was an ornate spectacle, and as usual, Kanye was impressed with himself. In February 2014, the trades lit up with the announcement of a Yeezus concert film, directed by iconic music video helmer Hype Williams, to be released in theaters. There was even a trailer. But that was the last we heard of the film, unless it gets resurrected some time down the line. Kanye first started talking up the idea of an album with Drake in 2015 – back then, they were gonna call it Wolves. Hints were dropped throughout 2016, and actual songs were unveiled to the public: Drake and Kanye collaborated together on the single version of "Pop Style" from 2016's Views and on the More Life track "Glow." Then summer 2018 happened. Pusha-T restarted his beef with Drake over ghostwritng, leading to Drizzy taking shots at Kanye in "Duppy Freestyle." Pusha was a hypocrite, Drake rapped, for bringing up the Quentin Miller scandal when Drake had just been writing for Kanye's solo album in Wyoming. Pusha didn't address this on follow-up track "The Story of Adidon," opting instead to blast existing rumors of Drake's fatherhood status to new heights. Ye then claimed said the beef was over, though J-Prince claimed he was sitting on a track that would have ended Kanye's career. With ties between O.V.O. and G.O.O.D. Music frayed at best, it doesn't seem as though we'll hear any joint tunes any time soon. 2012 saw the release of Cruel Summer, a compilation album showcasing the strengths of Kanye West's label G.O.O.D. Music. With hits like "Clique," "Mercy," "New God Flow," and "Cold," Cruel Summer had chart dominance, even if his collaborations didn't have the monumental significance of Watch The Throne, Ye's project with JAY-Z. The compilation's follow-up has been teased repeatedly over the years – "Champions," which Kanye himself billed as the project's first official single, was released in 2016, and featured verses from Big Sean, Gucci Mane, Travis Scott, 2 Chainz, Quavo, Yo Gotti, and Desiigner. A few months later Travis Scott said he was the project's executive producer, and assured fans it would be out in early 2017, though that came and went with no updates. "New album coming this summer," Kanye tweeted about two weeks after dropping The Life of Pablo in February 2016. Even though the announcement came in the middle of a broadside against the Grammys, it seems he was serious, since he announced the album title three days later: Turbo Grafx 16. Work on the eighth Kanye West solo album continued: from his home after he was released from hospital following an onstage breakdown, in Calabasas with Rick Rubin, and in Wyoming with a string of rappers like Kid Cudi, Travis Scott and Drake. 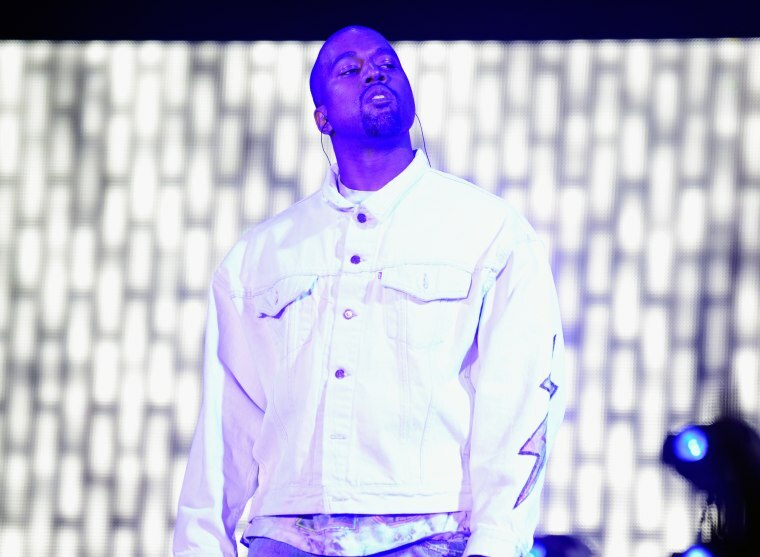 In April 2018, Ye confirmed the album would be released on June 1, but did not reveal the title. When that date arrived, we found out it was simply called ye. 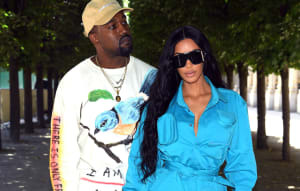 It would be fair to assume that Kanye had simply ditched the name Turbo Grafx 16, but according to his wife Kim Kardashian, Kanye threw out an entire album. "He scrapped his whole album and redid it in the last two weeks and just came up with all new songs," Kardashian told Entertainment Tonight. DONDA, Kanye West's design and creative enclave founded in 2012, isn't just about art. Kanye really wants its endeavours to change the world in the mold of his icon Steve Jobs. "DONDA will be comprised of over 22 divisions with a goal to make products and experiences that people want and can afford," Kanye wrote on Twitter in 2016 as he shared a chart containing some of those products. They include "emoticons," "luxury cloud service," "compressed natural gas," medical research for HIV and cancer, and, most troublingly, "survaliance [sic] technology." Kanye may be moving on some of the music-related items here, since he filed for a wide-ranging patent on something called Yeezy Sound. This chart doesn't even contain the full range of Ye's concept, leaving out a prospective Donda makeup line and his social housing endeavour Yeezy Home.